Aycock Law Office, P.C.  Reliable Legal Advice, Counsel, and Representation for Noblesville, Ind. Aycock Law Office, P.C. was founded in 2006 to serve the needs of the families, entrepreneurs, and small businesses in Noblesville, Indiana. 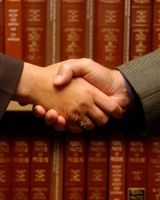 We’re dedicated to providing personal attention and distinct legal solutions to our clients. We can give you sound, understandable advice in a prompt, courteous and professional manner, and hope to form long-term relationships to fully understand our clients and their legal necessities. 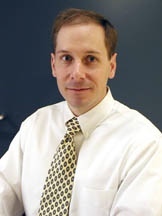 Thomas Aycock has been practicing law since 2006. He is licensed to practice in front of the Indiana Supreme Court. In the past, he has taught law, counseled M.B.A. students, and worked as a stockbroker and realtor. Thomas also served in the U.S. Army as a company commander, 1st lieutenant and finance officer. Thomas graduated from Louisiana State University with a degree in finance and then earned his master of business administration at Boston University. In 2005, he earned his Juris Doctor at the Valparaiso University School of Law and opened Aycock Law Office, P.C. in Noblesville, Indiana a year later.